Get the best out of your bike on the road AND on the track! 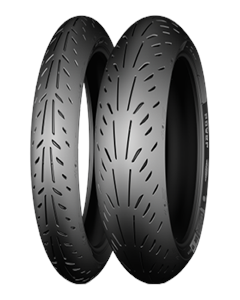 Excellent grip thanks to new competition rubber compounds and up to 52% larger contact patch by reducing the pressure for track use. Excellent longevity means you can have fun without blowing your budget. Benefits from the new 2CT+ technology: In addition to no compromise between grip and longevity, 2CT+ adds stability when cornering, especially under strong acceleration.